More and more people are using mobile devices to process digital documents. And PDF is the most popular file format as it's a stable format allows you to read text and images the same way across any device. Because of this, you may need a Word to PDF converter App on Android or iPhone for reading and editing. Luckily, this article outlines the top 5 apps to convert Word documents into PDF files directly on your Android smartphone or tablet. And for desktop users, PDFelement ProPDFelement Pro will be your best choice. 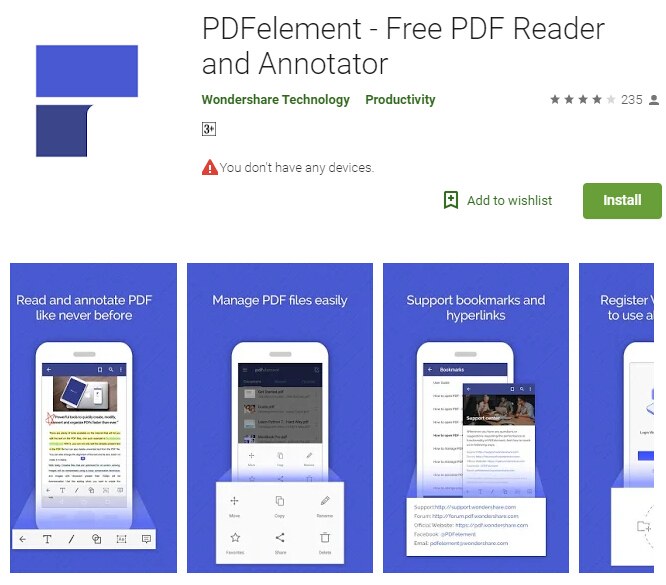 PDFelement is a free Android App which allows you to create PDF documents from MS Office documents. This Word to PDF converter App for Android also provides you with various editor tools, it can help you add comments and edit text. It also lets you convert PDF to Word and create PDF documents from other Android apps such as Google Drive, Dropbox, OneDrive, Office and several other cloud-based tools. Edit text in PDF file easily. Change font style and colors without losing formatting. Import files for conversion from other apps such as Google Drive, Dropbox, File Manager and more. Snap a photo and convert any image into a PDF. You are just a few taps away from creating and sharing professional-looking PDFs. Word to PDF Converter & PDF Creator Online is an easy to use application which converts word to pdf and pdf to word. 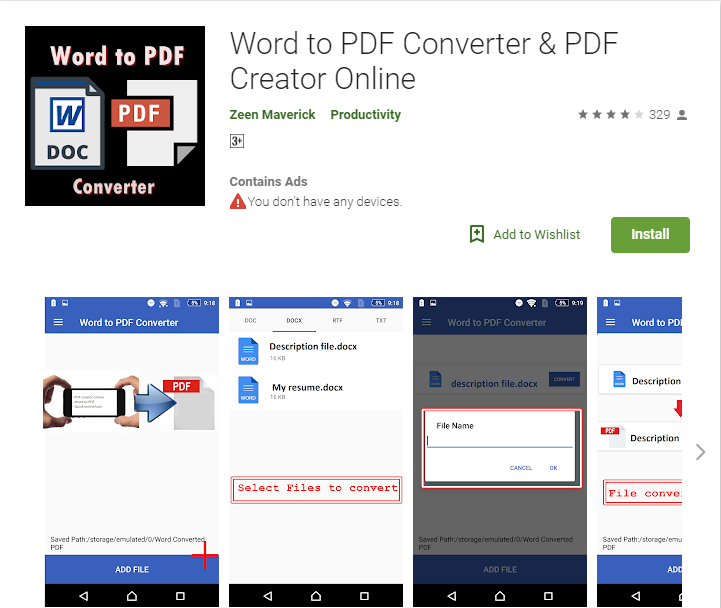 This online word to pdf converter accesses your files from your android phone in order to convert doc to pdf. Easily convert Word documents to PDF and vice versa in no time. Enjoy a simple user interface that guides you through converting PDF to doc files. Supports all document type formats to convert word to PDF. 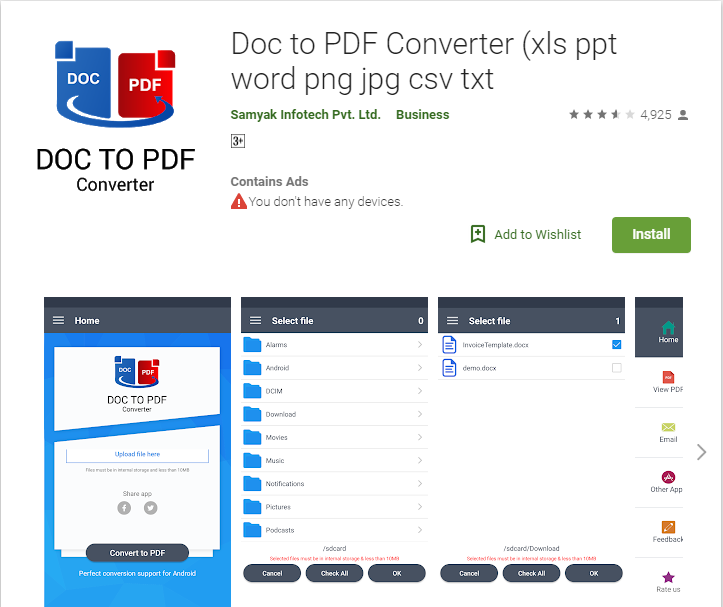 All Files to PDF Converter is another amazing Android app that will convert many of your MS Office digital textual documents into PDFs. Supported source formats are Word, Excel, Powerpoint, Pages, and Numbers formats. Sadly, this app doesn't support EPUB files like some other converters, but it does support Rich Text Format and Text format documents. This converter also helps you convert your text messages into pdf format. Convert DOC to PDF, convert PDF to DOC, PDF to JPG, JPG to PDF and more thanks to this Office Suite Converter. Supports conversion of videos to diverse formats: GIF, AVI, FLV, MP4, MPG, WMV. PDF Converter will easily convert Word, PowerPoint, Excel, PNG, and JPG documents to PDF format in a matter of seconds. You can share files with any other messaging, mail or social network application. This app is one of the most popular ones out there, with plenty of good reviews on Google Play store. Share the documents you've converted with any other messaging, mail or social network application. With this App, anyone can easily convert their file to PDF format. Once the file is imported into the app, all you have to do is to tap on the conversion symbol and then select your conversion output. Note that the file you import must be less than 10 MB size. Supports doc, docx, xls, xlsx, ppt, csv, pdf, txt, bmp, jpg, gif, png, tiff files. High quality conversion results are quickly sent back to you. For desktop users, you can use PDFelement for Mac to convert Word, Excel and PPT to PDF in high quality. This program is not only a PDF editor, but also a PDF converter and creator. It comes with powerful editing tools allowing you to edit, markup, protect, convert, create and share PDF files easily. Convert Word documents to PDF in high speed. 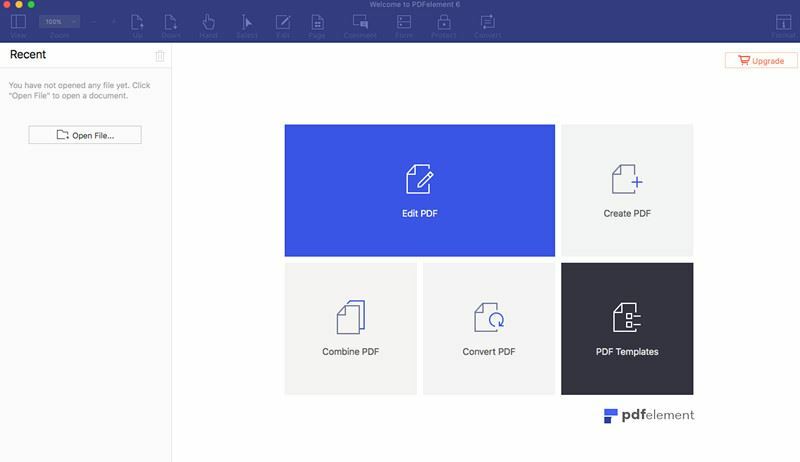 Create high quality PDF to fit any platform. Use multiple powerful PDF editing tools. Easily convert, secure and share PDF files.